If you haven't found a great recipe for Father's Day yet, look no further. This recipe is a guaranteed crowd-pleaser. The complimentary flavors in this recipe come together to create one incredibly irresistable sandwich. Enjoy and Happy Father's Day! Cut your steak into thin strips, cutting against the grain of the meat. Place meat into a bowl and generously coat your meat with worcestershire sauce, salt, and pepper. Be sure all the meat is evenly coated. Cover bowl and place marinated meat into the refrigerator for at least 2 hours prior to cooking. After meat is done marinating, heat your butter in a large skillet until it melts and is hot. Add the steak to the skillet. When the steak is about halfway cooked, add your sliced peppers, onions, and baby mushrooms to the skillet. Stir constantly until your onions, peppers, and mushrooms are tender and juices have thickened. Add more salt and pepper if needed. 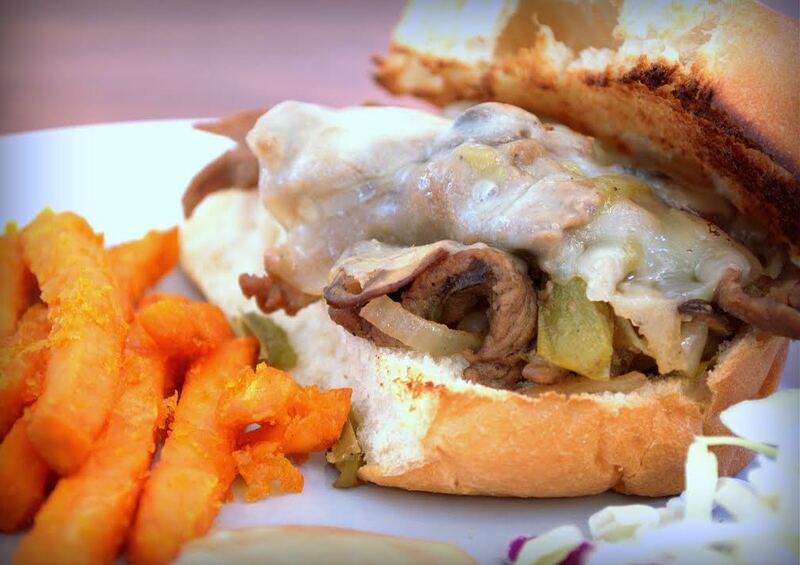 Place your hoagie buns onto a baking sheet and fill with meat mixture placing your provolone cheese on the top. Preheat your broiler. Place your sandwiches open faced under the broiler for 1 minute or until cheese is completely melted. Serve alongside sweet potato fries and coleslaw if you desire. I Can't Believe It's Better Than Butter!